Cleaning a conservatory roof, isn’t an easy task. Conservatory roofs will, if not cleaned turn green with moss and algae. 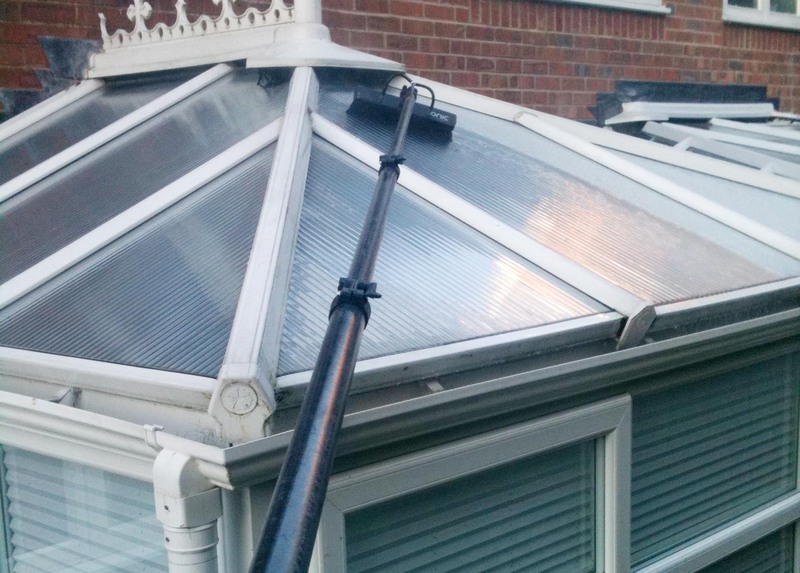 We have specifically designed tools that allow us to access your conservatory roof and clean what otherwise would be impossible or too dangerous to reach. We clean your roof, removing all algae and moss from the polycarbonate or glass. All cover caps and finials are cleaned too, meaning you can enjoy a clean, clear conservatory all year round. 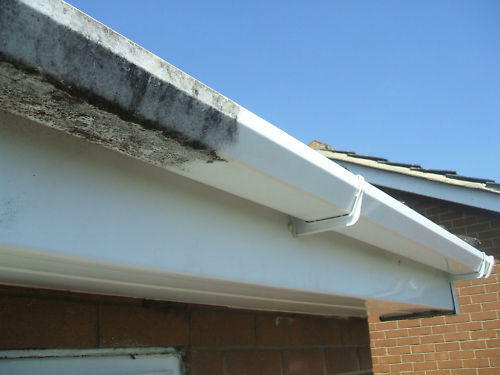 uPVC fascias, soffits, cladding, garage doors, porches etc can become discoloured or faded from grime and moss. Our uPVC cleaning service returns dirty or discoloured uPVC to its former glory. Giving your home kerb appeal and helping prolong the life of your uPVC products. Contact me on 07817 197 216 or info@richieswindows.co.uk for more information or to request a no obligation conservatory or uPVC cleaning quote.